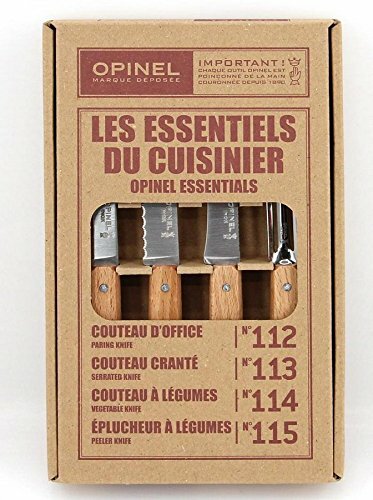 Opinel Bon Appetit Essentials Beech Handles Utility Knives. 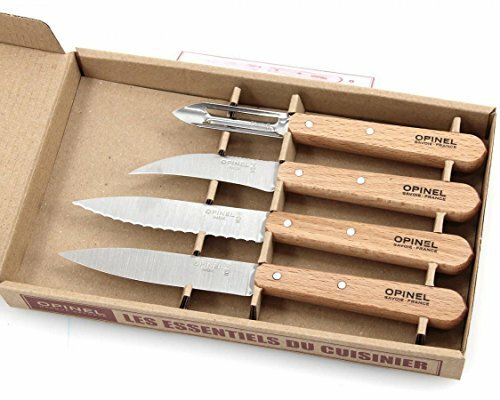 The Opinel Bon Appetite Essentials table knife collection includes a peeler, vegetable knife, paring knife and serrated utility knife for all your kitchen needs. 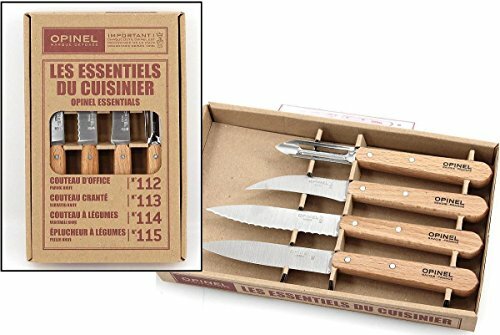 Made from the finest materials, each stainless steel knife has been modified to provide you with the highest quality cutting instrument in the kitchen.